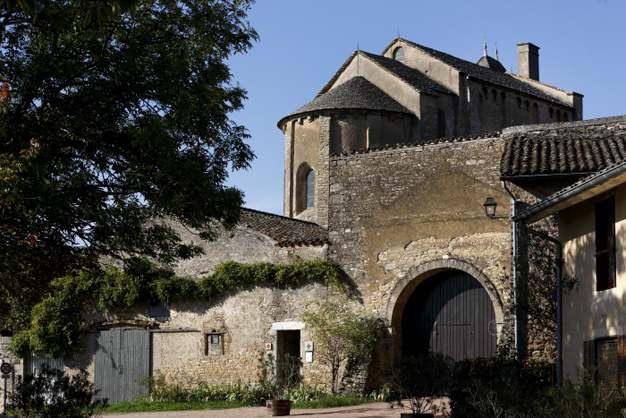 The chapel was built in the early 12th century on the initiative of the Abbot of Cluny Hugues de Semur, who was also behind the construction of the third abbey church at Cluny. It was originally part of a priory and is nowadays the only remaining vestige open to the public. 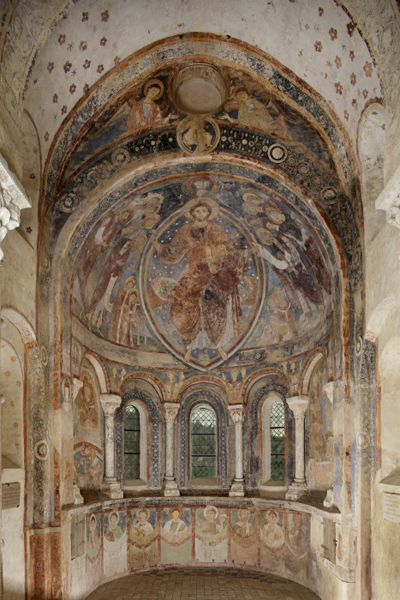 It is formed of a lower chapel where numerous traces of polychromy can still be seen, and an upper chapel famous for its unique mural paintings. The apse is painted from floor to ceiling: on the vault, the figure of Christ, surrounded by apostles, presents his law as he entrusts the keys to St Peter and the book to St Paul, the two patron saints of Cluny Abbey; the wise and foolish virgins are depicted around the windows along with the martyrdom of Saint Blaise and Saint Vincent; in the lower register are the little-known Eastern and Western saints whose relics were kept in the Cluny Abbey treasury and who appear on its liturgical calendar. 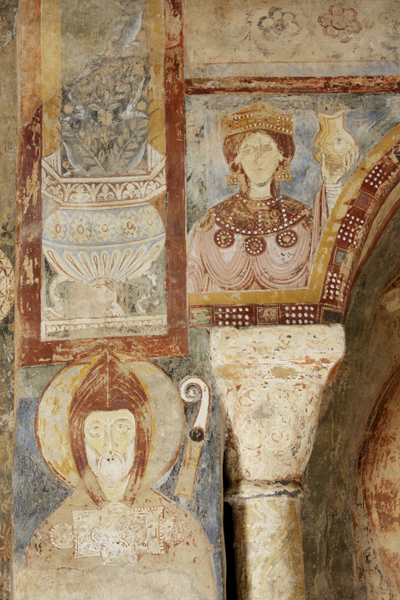 This decoration are the only surviving examples of the monumental painting that existed when Cluny Abbey was at the height of its power. In the wake of the French Revolution, the lower chapel was used as a cellar while the upper chapel was converted into a barn. The paintings were covered with plaster to protect them from being destroyed. After the paintings were rediscovered in 1887 by Philibert Jolivet, the parish priest, the chapel was listed as a historical monument in 1893. It was acquired by the Académie de Mâcon after the Second World War, in 1947, thanks to the British archaeologist Dame Joan Evans. The chapelle de Berzé was opened to the public as of April 2017 thanks to the Centre des monuments nationaux. Visitors are free to walk around the chapel with the aid of a brochure available in French, English, German, Dutch and Italian.